Are you looking for a safe and reliable option for storage in the Newport Beach area? It’s time you became acquainted with Coast Valley Moving & Storage. Coast Valley Moving & Storage has been serving residents of the Golden State since 1972. Since the very beginning, our core philosophy has been “customer first” — a concept you’re hard pressed to find in any other Newport Beach household storage company. We’re not just any residential storage company — we’re the most trusted provider of Newport Beach storage services for area households. Perfect for businesses or households, our storage solutions simply can’t be beat. Our friendly professionals are ready to tackle the job — so what are you waiting for? What makes our service unbeatable? While it starts with unparalleled customer service, our climate-controlled and air-conditioned spaces are the perfect option for long- or short-term household storage in Southern California. If you’re looking for affordable storage for your precious belongings, we’re the Newport Beach household storage company you need. Need storage for your office or commercial building? We handle that too. You can rest easy knowing we have the perfect amount of storage space to accommodate your transition. Take more control over your operations with our convenient warehouse. Whether you need short or long-term storage solutions, Coast Valley Moving & Storage offers the perfect contract to fit for your specific needs. Ready for your free no-obligation estimate? Contact us today, toll-free: call (949) 361-7500. 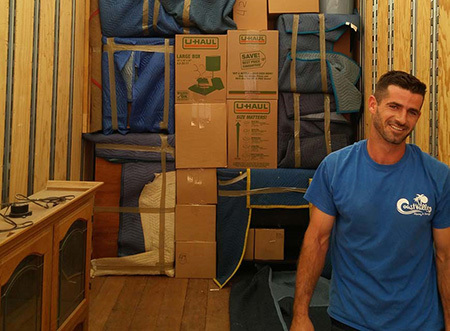 For the convenience of a Newport Beach household storage facility near you, don’t hesitate! We’re ready to accommodate your storage needs today.